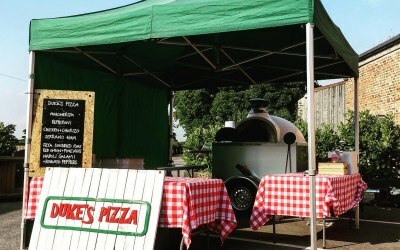 Street food pizza van based in Yorkshire, serving traditional wood fired pizza out of a cool van! 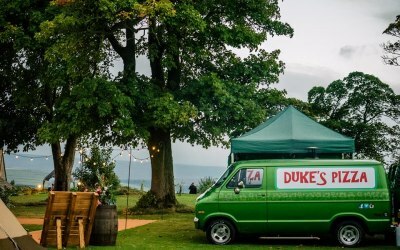 Looking for a street food van? 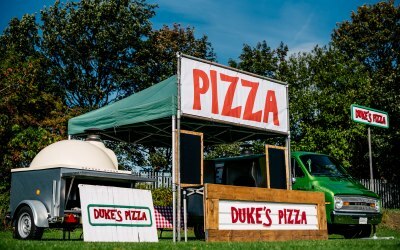 Hire Dukes Pizza for your event or special occasion. 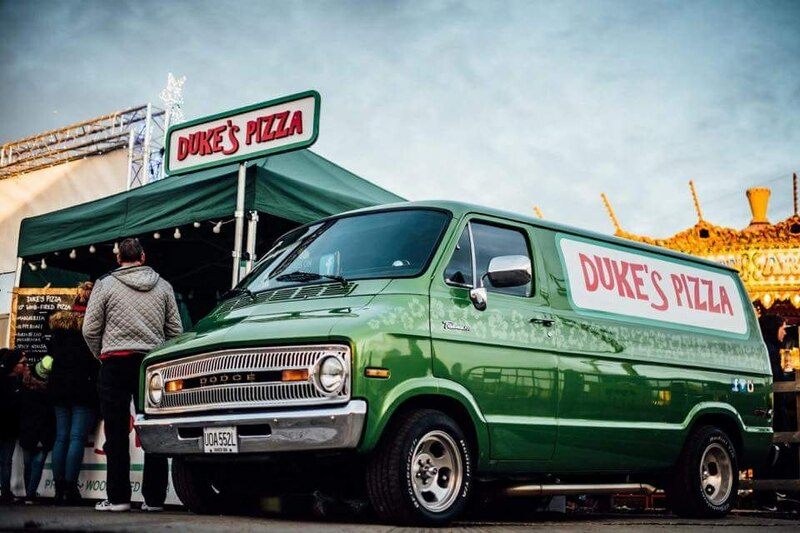 We provide high quality wood fired pizzas from our van - which is a classic 1972 American Dodge van converted with a wood fired pizza oven. 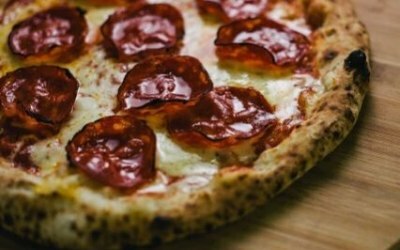 The pizzas are made with fresh dough made with Caputo 00 flour imported from Italy, 100% mozzarella and Italian tomatoes, with a choice of toppings. 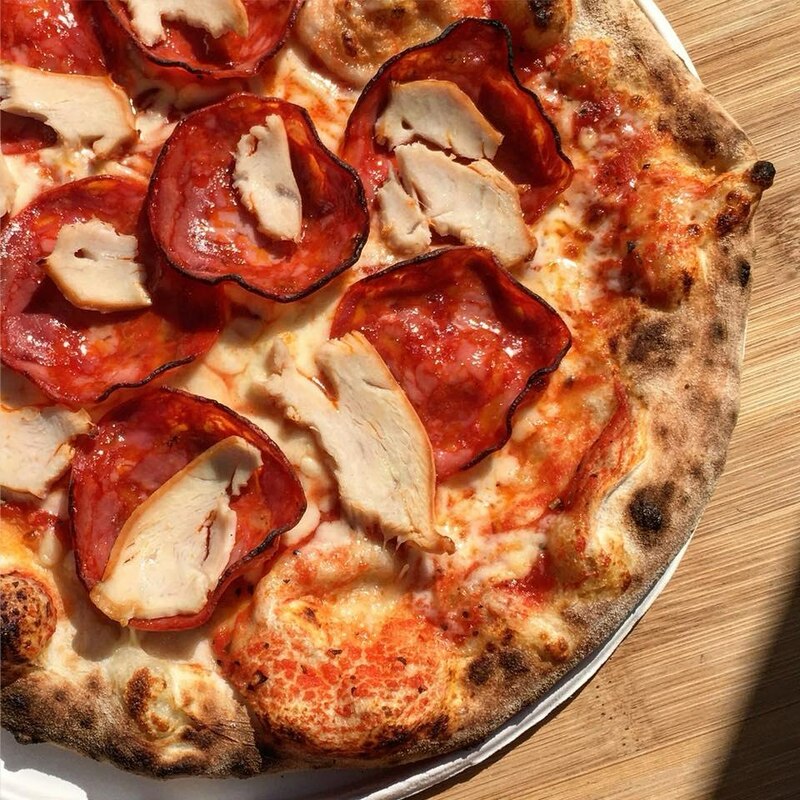 Our pizzas cook at temperatures over 500 degrees Celsius and under 90 seconds. 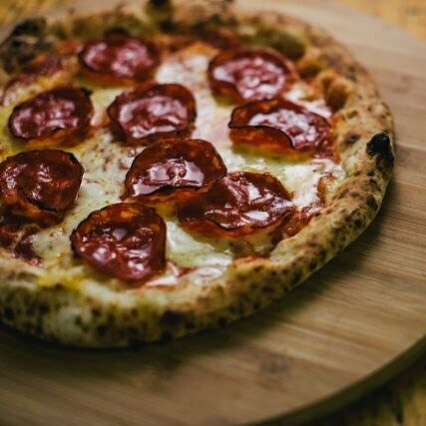 We can tailor your package to your needs, whether it be a buffet style function or individual pizzas made to order. We also can accommodate vegans and vegetarians. We can cater for any event and special occasion. 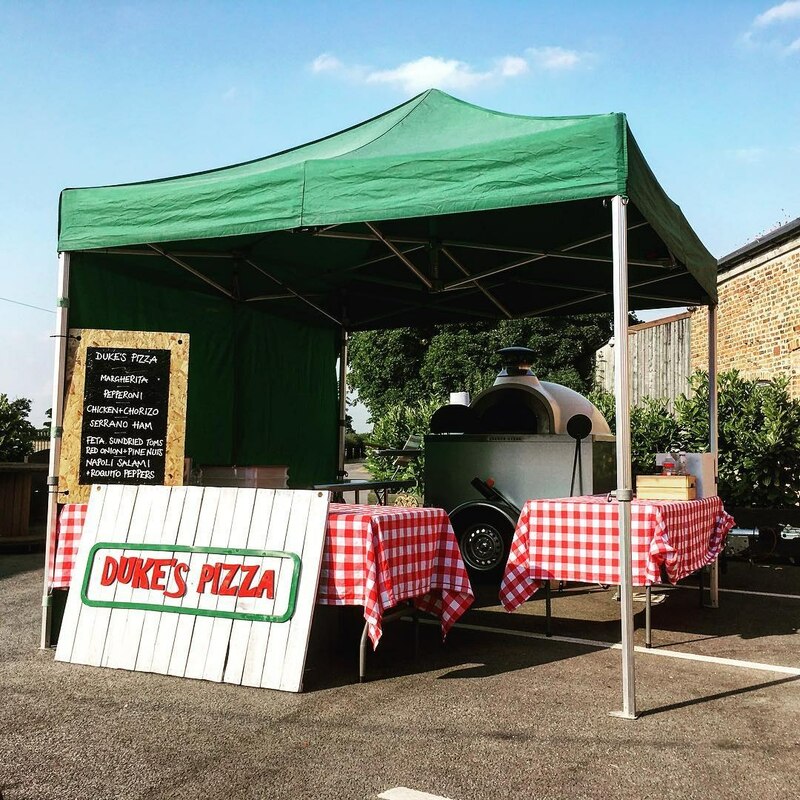 We have attended festivals, community events, car shows, sporting events, markets and many private functions. 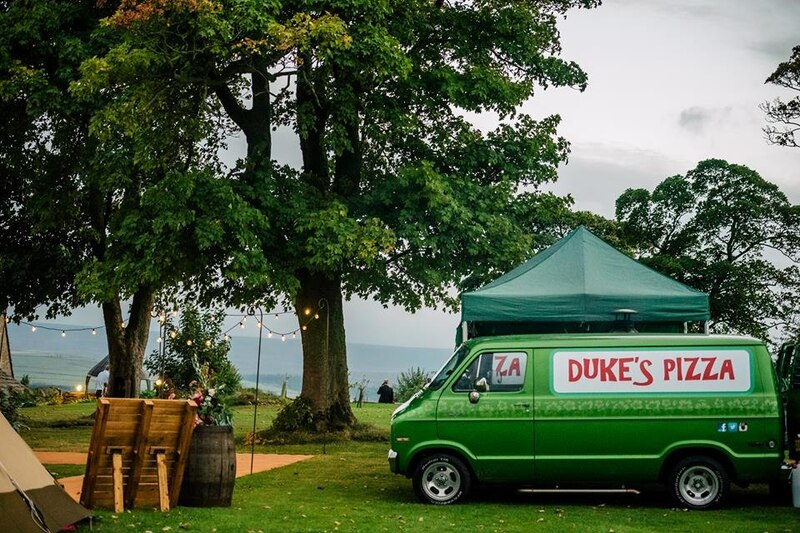 We used Duke's pizza to cater for our wedding evening food. They arrived on time to our rural site in East Yorkshire. The pizzas tasted amazing and we received positive feedback from all of our guests. The leftover pizzas were also given to us so guests could take them home which was great. Would highly recommend. From day one Darren and Sarah catered to our needs and delivered on the day. Absolutely brilliant all round. Thank you so so much!!! This company are just excellent. Very professional but friendly, nothing was too much trouble for the husband and wife team who came for our sons 18th birthday celebrations. With forty kids as guests we thought it was just perfect for this ( and any ) celebration. Thanks so much Sarah and Dan, and good luck for the future. 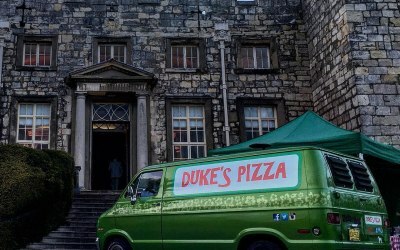 We hired Dukes Pizza for our wedding evening food. 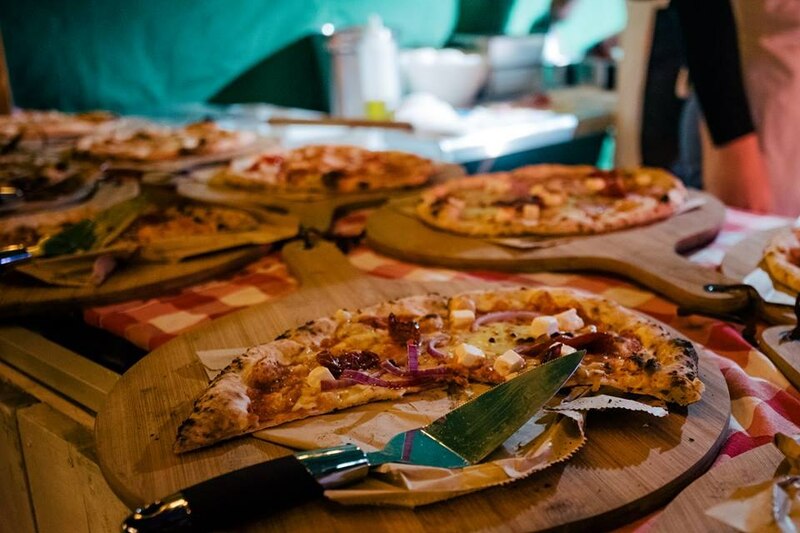 We could not have been happier with the service from initial contact through to set up and leaving remaining pizzas in takeaway boxes for guests to take home. The pizzas tasted amazing. The topping choices were fantastic something to suit even the pickiest of eaters. The presentation of the stall, allowing guests to graze as and when they were hungry and the friendly staff made our perfect day even more enjoyable. 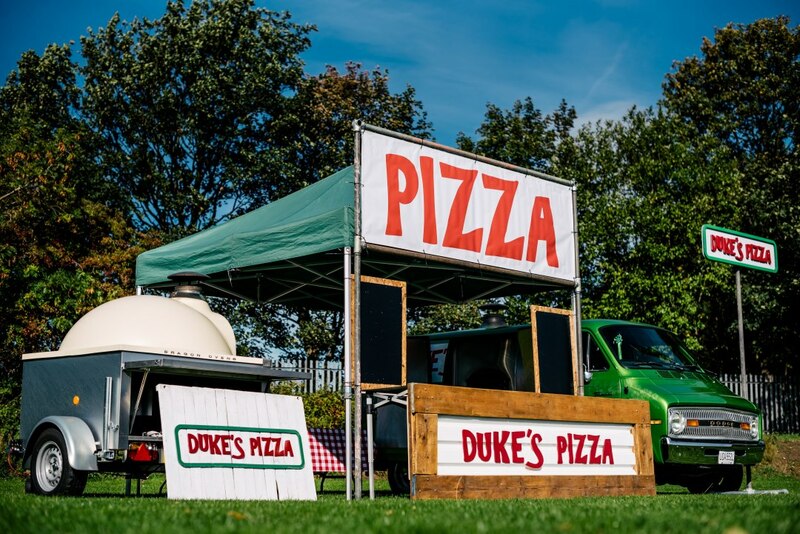 Dukes Pizza are some of the best Pizza you will get anywhere, this is restaurant standard food using only the best ingredients but cooked outdoors at your event. 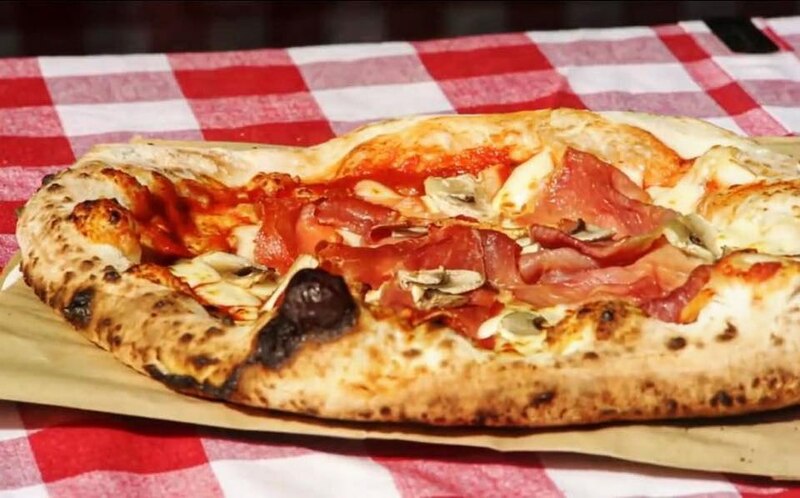 The Pizzas are hand made in front of you with toppings of your choice and then cooked in the oven as you wait a couple of minutes. They are beautiful and went down a storm at Scoobyfest UK. 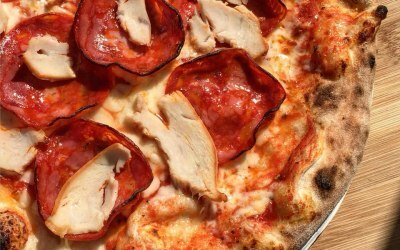 Value for money, superb service and top quality Pizza. 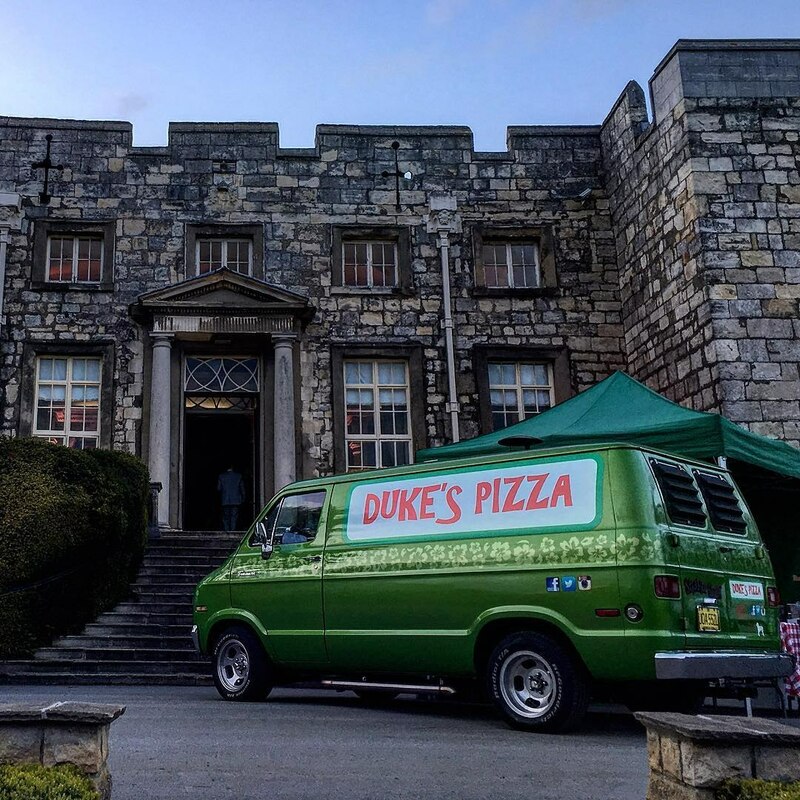 Thanks to the Dukes Pizza team we look forward to seeing you again soon. 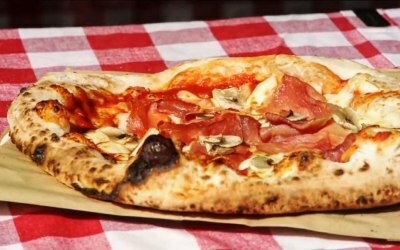 Amazing pizza from super lovely people! 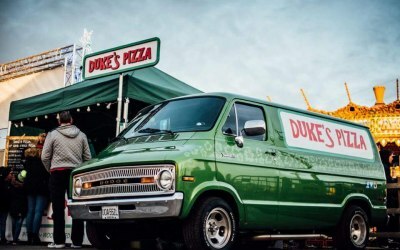 Get quotes from Duke's Pizza and others within hours.